The annual tune-up of your heating system: The annual tune-up includes the replacement of the oil burner nozzle, fuel filter, and replacement/cleaning of pump strainer. The boiler/furnace and vent connector will be cleaned by brush and vacuum. During the annual tune-up your system wil be checked for proper draft, the operation of all safety devices, and overall system function as well as effeicency. The replacement/repair of the following defective parts @ NO CHARGE 24/7/365(no labor cost & no parts costs). If you have any questions as to what these parts are, or do, please ask our Licensed Technicians for an explanation. Obsolete or univalable replcement parts will be billed for "retro-fit" at prevailing rates when system changes are made. All service calls are performed at the discretion of Personal Energy Co. employees to local codes and industry standards. WITH NO EXCEPTIONS. All equipment deemed unsafe, inoperable, or antiquated will not be available for service plan coverage. Plan B covers the labor which is limited to the tuning up of the heating system. 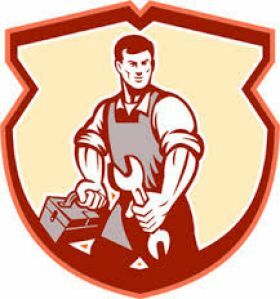 Replacement of parts that fail is not covered, nor does the plan cover the labor costs of repairing your heating system. All parts and labor outside the annual tune-up will be charged to you at their current rates. Tune-up consists of brush and vacuum of boiler\furnace & vent pipe, change of nozzle, filter and pump strainer, necessary adjustments to heating equipment, efficiency test, and electronic control and safety check. Annual tune-up of water heater burner is covered. Plan also provides labor which is limited to the replacement of oil burner parts and/or controls of the system, at no charge. Does not cover any parts coming in contact with water. System parts coming into contact with water causing natural corrosion or electrical shorting. The plumbing of steam, hydronic, potable & hydro-air heating systems. Chimney, chimney liner, & vent connections. Potable water systems and components (including hot water heater tank). A/C system parts & components as well as intagrated furnace parts used in the A/C system. Hot air furnaces with integrated air conditioning will be billed for a/c service calls during a/c operation. Humidifier parts are not covered. Air Filters: Due to the varying sizes & types of air filters we do not carry them on our service truck. We can order, deliver, & install all types and sizes of filters. A minimum of 6 must be ordered. If you would like your filter changed at time of the annual tune-up please tell our technician and supply him with a new filter. *One per year on multi zone systems. Call us at (860) 223-5833 or contact us online if you have any questions! Looking for a new heating company? Special offer to all new accounts!